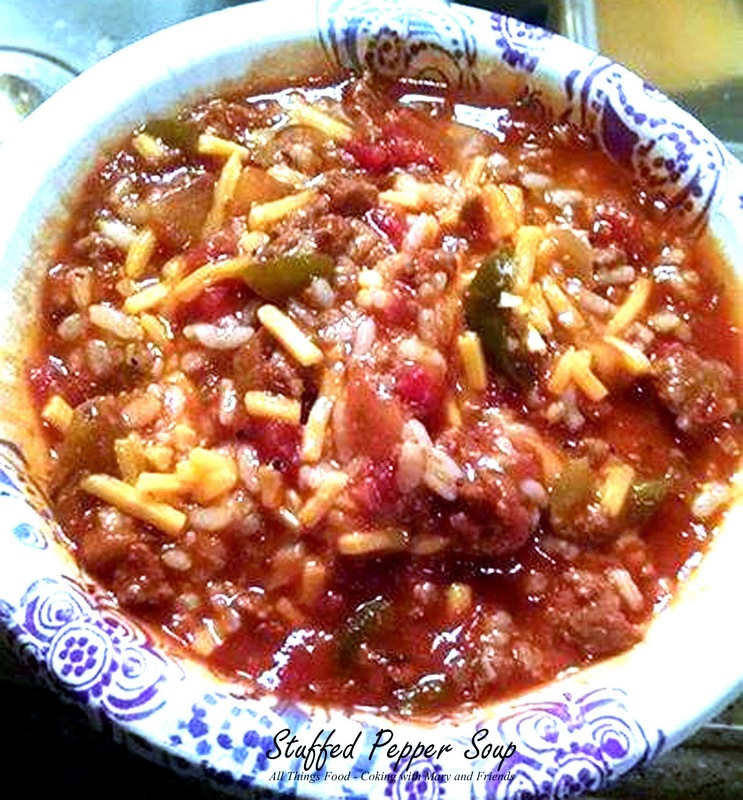 This is a great recipe to use up some of those fresh green bell peppers from the garden. Since my husband doesn't care of traditional stuffed peppers, I was looking for a good recipe for Stuffed Pepper Soup. My sister-in-law, Tracy, sent me one she had, and so did a few other foodie friends, so I took the basics of what they had and made it my own. The results are this awesome soup, with just a little bit of spiciness. Dutch Oven - Brown ground beef and drain grease. Stir in remaining ingredients and bring to a boil. Reduce heat, cover and simmer for 30-40 minutes or until peppers are tender. Adjust all seasonings to taste. Top servings with shredded cheddar cheese. Slow Cooker - Brown ground beef and drain. Put beef and all ingredients (except rice) in a slow cooker. Cook on low heat 4-6 hours. Adjust all seasonings to taste. Add rice just before serving. Top servings with shredded cheddar cheese.